You can contribute directly to the KCDC via the donation button below. Proceeds from these donations go directly to our project costs. The KCDC is a 501(c) (3) nonprofit organization and all donations are tax-deductible. 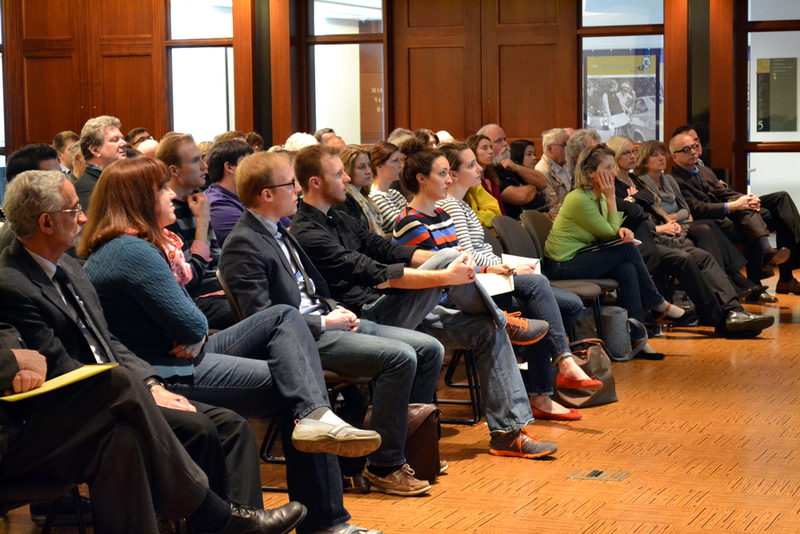 The KCDC hosts a number of annual lectures that feature nationally renowned architects and design professionals. KCDC lectures are always free and anyone is welcome to attend. The KCDC's primary funding comes from grants and contributions from our gracious donors. If you know of an organization that might be interested in supporting the KCDC, please contact us. Every year, the KCDC publishes an annual comprehensive project publication. The proceeds from publication sales contribute directly to KCDC operating and project costs. Check out all of our publications for sale in our store. During the course of KCDC projects, the community is invited to attend several public engagement meetings where students present their work in progress and invite feedback. Many of KCDC's past projects have served as jumping off points for further development in Kansas City, so the feedback students' receive from public stakeholders is vital to ensuring that the voices of the community have been heard and taken into account. Friend us, tweet us, share a status, like our photos. The KCDC uses social media as a platform for promoting dialogue and awareness of urban design issues in Kansas City as well as a tool that allows KCDC projects to stay as transparent as possible. Help us reach a wider audience by interacting with us on Twitter, Facebook, and Instagram. The KCDC sends out a monthly e-newsletter that outlines the current happenings at the KCDC. Sign up here and forward to a friend. As of 2015, KCDC is open nationally to all graduate level students studying in the area of urban planning and design. If you know of someone who might be a good fit for the KCDC, send them here for more information on the benefits of studying at KCDC.